The former Counties Manukau representative basketball player currently plays as a flanker for the Chiefs in the Super Rugby competition. Domestically he plays for Auckland in the ITM Cup, debuting for them in a match against Southland during the 2015 season. 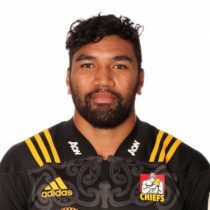 In 2016 Seu represented the Chiefs in Super Rugby making his debut against the Crusaders. He went on to make 16 further appearances for the Chiefs scoring twice. In May 2017, Seu signed a two-year extension with the Chiefs and will stay with the side at least until 2019. Seu made 11 appearances for the Chiefs in 2017 and was included in the Chiefs squad for the 2018 season.